When Italian singer-songwriter Andrea Bocelli released his duet with Sarah Brightman, “Time to Say Goodbye,” in 1996, it took Europe by storm, topping billboard charts all over the continent. Then, his 1999 collaboration with Celine Dion, “The Prayer,” was a critical sensation, garnering a Golden Globe and nominations for an Oscar and a Grammy. Now, Bocelli’s new album, “Si,” — the first album of new material he’s released in 14 years — is poised to top this week’s Billboard 200 charts. As with Bocelli’s previous hits, “Si” integrates elements of classical art-song, film scoring and pop music in a way, though tried-and-true, that innovates enough to be as interesting as it is ear-satisfying. On the surface, much of the album feels very — almost too — familiar. The album’s overarching themes are, on the whole, quite ordinary: They almost never veer far from friendship, love, hope, or the passage of time. Most songs showcase Bocelli’s undyingly smooth yet powerful tenor voice overtop friendly harmonies and lush, cinematic orchestration. There are a smattering of duets with big-name artists, among them Ed Sheeran and Dua Lipa, as well as Bocelli’s own son, Matteo. Initially, it feels as if “Si” checks off all the boxes a classical-pop crossover album should satisfy — and nothing more. But where “Si” sparkles is in how faithful it is to this notion of crossover music — it embodies the genre in its entirety. The album’s intentionality manifests itself particularly through its emotional depth and musical nuance. “Un’Anima,” for example, artfully captures the individual’s dichotomy between struggle and hope by means of achingly profound trattenuto vocal lines from the opening minor key to its eventual relative major, which, in turn, is mirrored poetically by transient “shadows” and “mirages” being replaced by massive “cathedrals” and “shooting stars.” On the other hand, “Meditation” — a lyricized version of Jules Massenet’s piece — returns an even more wistful quality than its original theme imparts through an extended use of Bocelli’s delicate lower range and through its equally vulnerable guitar accompaniment. Bocelli’s album also explicitly — and cleverly — interweaves classical references into his songs. The album opens with an arpeggiated figure almost identical to Johann Sebastian Bach’s first Prelude and Fugue from “The Well-Tempered Clavier.” Indeed, just as Bach’s piece literally represented a founding foray into a new realm of harmonic possibility, Bocelli’s “Ali di Libertà” paves the way, thematically, for the rest of the album, in its simultaneous lyrical uncertainty and hope (mirrored vocally by high passages that are as tender as they are powerful). “Dormi Dormi” layers a stringed version of Bach’s “Jesu, Joy of Man’s Desiring” above a synthesized ostinato to create a lilting yet comforting lullaby. “Gloria The Gift of Life,” meanwhile, seamlessly imparts a veritable sense of reverence in its use of melismatic vocal lines typical to the “Gloria” movement of the Roman Ordinary mass. Perhaps the most daring song on this album is “Vertigo,” a collaboration with pianist Raphael Gualazzi. Lyrically depicted as a ballad toward an enigmatic woman who somehow puts the singer between “vertigo and madness,” it convincingly takes on an imbalanced — yet somehow perfectly poised — musical rhythm, full with mazurka-like accents and roughly delineated rubati. Unlike the rest of the songs, which are imbued with clean, friendly chord progressions, “Vertigo” stumbles in and out of consonance, trying to organize itself somewhat with Gualazzi’s Chopinesque chord repetitions and Bocelli’s robust voice. The solidity of Bocelli’s singing equally contrasts with the capriciousness of the woman of the story and the deftness of the pianist’s performance, all which add to the inherent juxtaposition of ideas — i.e., the crossover — that forms this song-dance. 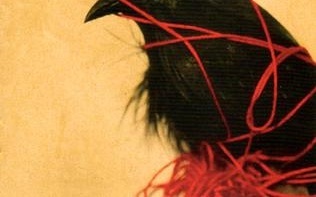 It is worth noting, too, both the musical effectiveness and emotional beauty of the album’s duets. “Amo Soltanto Te” and “If Only,” Bocelli’s joint works with Ed Sheeran and Dua Lipa, respectively, are mellower, more introspective versions of “Time to Say Goodbye,” sharing in its organic, nonlinear phrases and contours but also embody — in a sonorous yet impeccable way — the crossing of two artists: Bocelli’s continually pulsing voice complements both Sheeran’s smooth lines and Lipa’s soulful flare. Meanwhile, “Ave Maria Pietas,” a duet with soprano Aida Garifullina, melds the melodic lines of Romantic art songs with cinematic instrumentation to express impassioned lamentation. 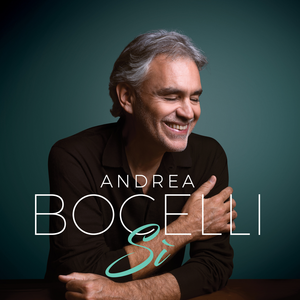 It is Bocelli’s duet with his son, “Fall on Me,” however, that is most poignant: Matteo’s English intersects with Andrea’s Italian; his soft, pure voice resonates against the depth of his father’s. 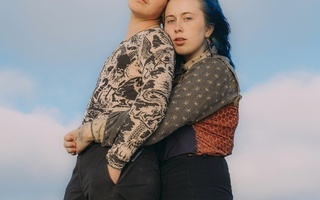 Through impassioned verbs followed by soft repetitions of “if you want,” the Bocellis explore trust and family, simply and honestly — and together. Indeed, Andrea Bocelli’s “Si” serves as a reminder that crossover music is not simply a juxtaposition of elements from two or more different places or times; instead, it is an active, sustained, intentional effort to bring these elements together. What “Si” presents isn’t particularly revolutionary, but it revisits crossover music authentically and with pride. Through his album, Bocelli doesn’t dive into much unfamiliar territory, but he brings us joy by sharing what makes his musical home so great. In that, Bocelli’s album is beautiful.